Hello again, it’s been a while. Each time I start writing again, I feel guilty for stopping, but it’s like I can only write when I have the need and desire to. Trying to write without them would leave you reading a very boring post. Anywho, here we are! Today is Eclipse Day, AKA I-closed-all-the-blinds-and-I’m-not-leaving-the-house-day.… Continue reading Haven’t we been here before? This week has seemed long for some reason. Maybe it’s because it followed such a great weekend, but I’m happy it’s Friday! I'm Lindsay - a NJ girl turned NC mama. 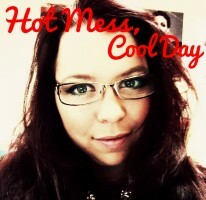 Read on and see what my hot mess self is up to! Thanks for visiting!